Circa 1986 - Julie Parker! 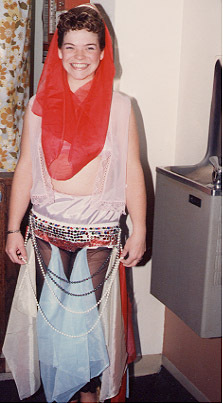 Always ready to perform at the drop of a veil near the 62 WHEN Heavy Water Cooler... resident belly dancer and special assistant to General Manager, Bob Carolin. DANGER! Caution... falling veil zone ahead. 62 WHEN... We Always Make You Smile.